Sequoyah Bay State Park is a paradise for water sports and camping. It is located on the shores of Fort Gibson Lake, offering 19,100 surface acres and 225 miles of shoreline. A variety of water sports are available and camping is plentiful. 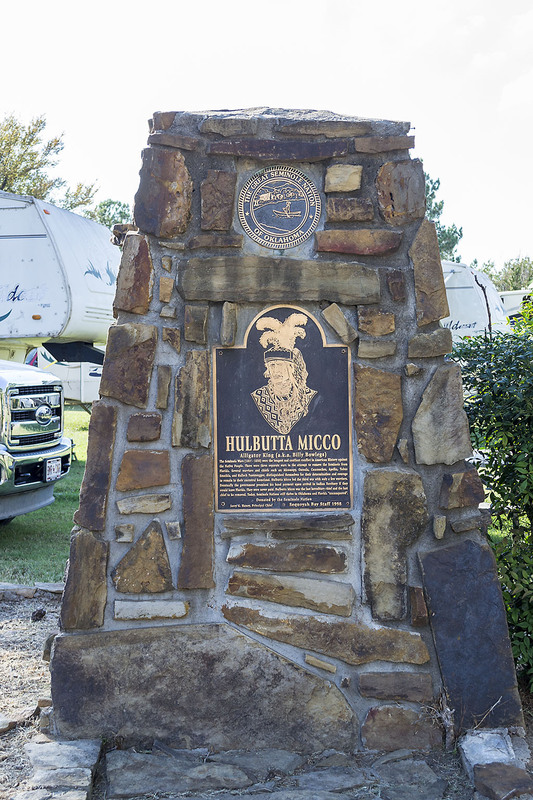 The park features 71 semi-modern RV sites with water and electric hook-ups, two dump stations and 180 regular tent sites. Both 30 and 50 amp service is available. A self-service pay station is located at the park office where campers may pay for each campsite. Payment receipts must be placed on the windshield of your vehicle, visible to the park ranger. Amenities include three boat ramps, five comfort stations with showers, a swim beach, picnic tables, three playgrounds, a softball/baseball diamond, basketball court, volleyball net set-up, nature trail, four group shelter picnic facilities with water and electricity. The shelters must be reserved and paid for through the Sequoyah State Park office at 918-772-2046. Cypress Cove Marina & Cabins, a full-service marina. 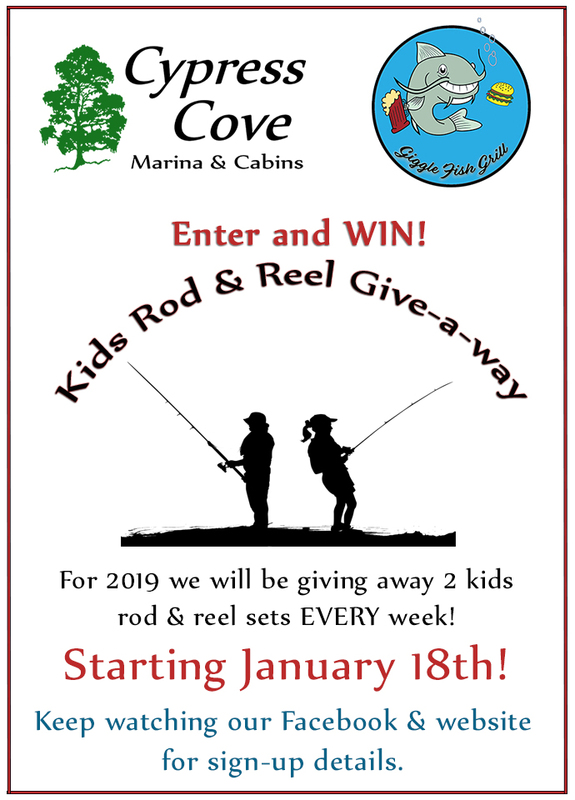 Featuring gas, food, ice, bait, tackle, boat rentals, slips, heated fishing dock and cabin rentals is open year round. The Cove usually has the most up to date information concerning the facilities at the park. Please fell free to ask us questions or visit our Sequoyah Bay FAQ page. ***NOTICE*** Due to winterization at Sequoyah Bay State Park, the Attakullakulla campground, Pushmataha campground and Group Camp will be closed from November 1, 2018 through March 1, 2019. 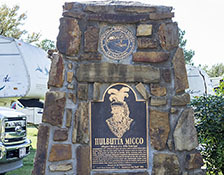 The Hulbutta-Micco comfort station will remain open. The term "Five Civilized Tribes" derives from the colonial and early federal period in the history of the United States. It refers to five Native American nations—the Cherokee, Chickasaw, Choctaw, Creek (Muscogee), and Seminole. These are the first five tribes that Anglo-European settlers generally considered to be "civilized". Examples of colonial attributes adopted by these five tribes include Christianity, centralized governments, literacy, market participation, written constitutions, intermarriage with white Americans, and plantation slavery practices. 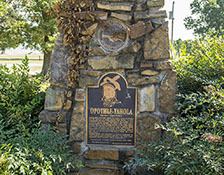 The Five Civilized Tribes tended to maintain stable political relations with the Europeans. 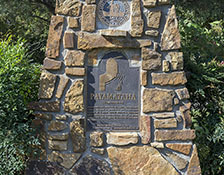 What makes this park memorable is the campground area names, each one is named after a chief from one of the Five Civilized Tribes. 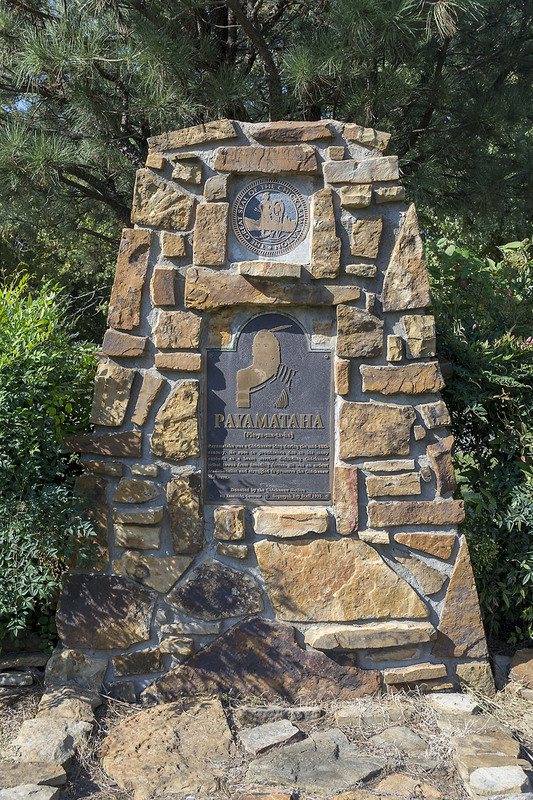 Monuments and flags from the five tribes are located inside the park so you get a bit of a local Native American history lesson while at Sequoyah Bay. It is our reverent hope that we can restore this park to its former glory and honor the Native American Tribes that are its name sake. If you are a member of any of the "Five Civilized Tribes" please contact us. 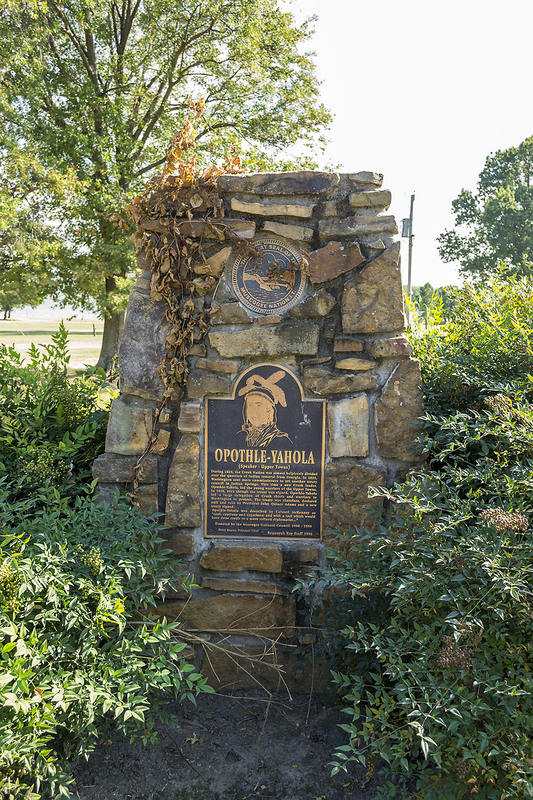 We are hoping to have a re-dedication ceremony in the spring on 2019 and have the Five Civilized Tribe's colors once again gracing the entrance to the park. 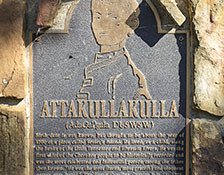 The Cherokee are people of the Southeastern United States, principally upland Georgia, North Carolina and South Carolina. They speak an Iroquoian language. In the 19th century, historians and ethnographers recorded their oral tradition that told of the tribe having migrated south in ancient times from the Great Lakes region, where other Iroquoian-speaking peoples were. 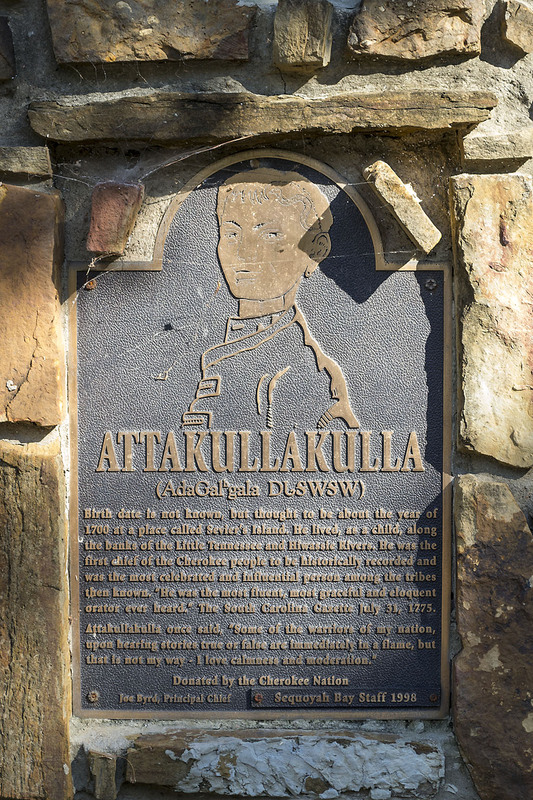 The Chickasaw are Native American people of the United States who originally resided along the Tennessee River and other parts of Tennessee, west of present-day Huntsville, Alabama, parts of Mississippi and the southwest side of Kentucky. They spoke some French and some English. 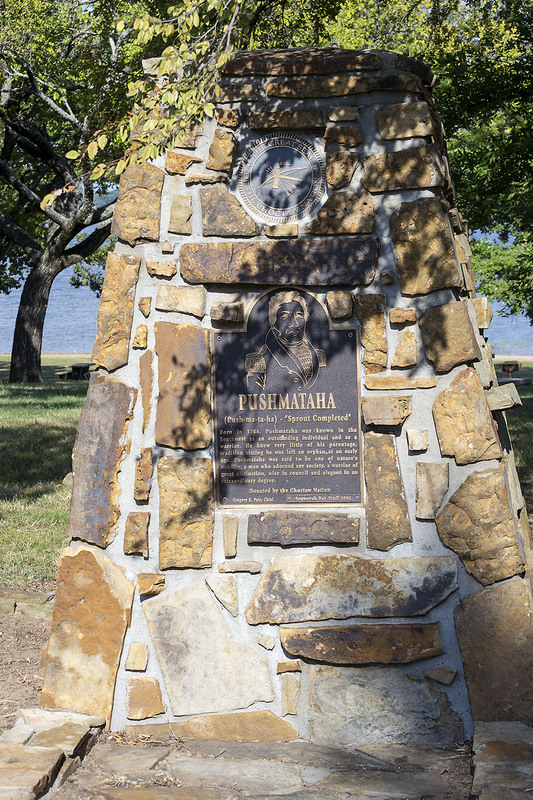 Some historians credit the Chickasaws' intervention in the French and Indian War on the side of the British as decisive in ensuring that the United States became an English-speaking nation. The Choctaw are a Native American people originally from the Southeastern United States (Mississippi, Alabama and, to a lesser extent, Louisiana). There were about 20,000 members of this tribe when they were forced to move to Indian territory. Many of them did not survive. They are of the Muskogean linguistic group. The word Choctaw (also known as Chahta, Chato, Tchakta, and Chocktaw) is possibly a corruption of the Spanish chato, meaning flattened, in allusion to the tribe's custom of flattening the heads of infants. The Muscogee (Creek) Nation is a federally recognized Native American tribe based in the U.S. state of Oklahoma. The nation descends from the historic Creek Confederacy, a large group of indigenous peoples of the Southeastern Woodlands. The Seminole are a Native American people originally from Florida. Today, they principally live in Oklahoma with a minority in Florida, and comprise three federally recognized tribes: the Seminole Tribe of Oklahoma, the Seminole Tribe of Florida, and Miccosukee Tribe of Indians of Florida, as well as independent groups. 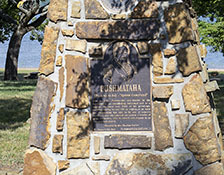 The Seminole nation emerged in a process of ethnogenesis from various Native American groups who settled in Florida in the 18th century, most significantly northern Muscogee (Creeks) from what is now Georgia and Alabama.